Thank you to all of our Channel Sales partners for your hard work and continued support of CalAmp products! Headquartered in Miami, Florida, DataRemote, Inc. has consistently been at the forefront of the M2M Industrial market space since 1991, offering businesses and channel partners M2M Products, Cellular Modems, Routers, and other Radio Appliances for moving data over wireless. Premier Wireless Solutions (PWS) is headquartered in Mountain View, CA and is a value added distributor and solutions provider with a full spectrum of RF technology products, systems integration services, test and certification services, and wireless data plans to enable their customers to incorporate wireless capabilities to their products. CalAmp highly values our Channel Sales Partners, and their sales teams, for their hard work in promoting and supporting CalAmp products and solutions. To encourage a strong network, our Channel Salesperson Incentive Program recognizes our top channel sales associates for their demand creation efforts each quarter. In FY19 we will be continuing on with our Quarterly Channel Incentive Program, with a few great changes. 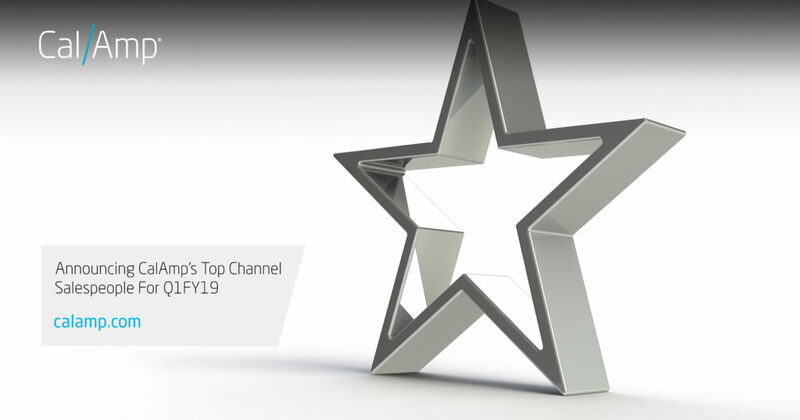 This year we will be awarding our top Salespeople not only based on Top Closed/Won Deal Registrations, but also based on expanding CalAmp business through CalAmp’s SaaS solutions sales, Professional Services sales, Extended Warranties, and working with CalAmp on case studies and press releases. We will review Top candidates each quarter with our Worldwide Regional Sales Teams, and our quarterly winners will be announced during our Quarterly Channel Sales Training.